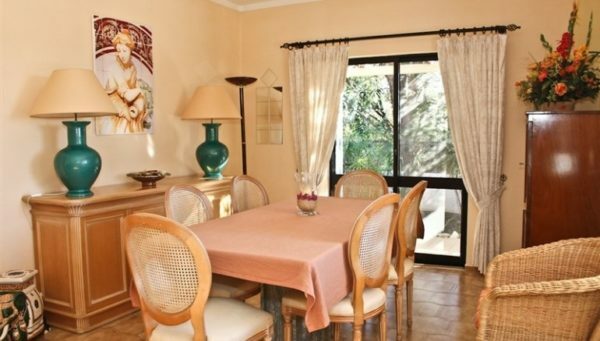 This redecorated villa is located in a quiet rural setting in Colinas Verdes, about 15 minutes’ drive from Lagos. 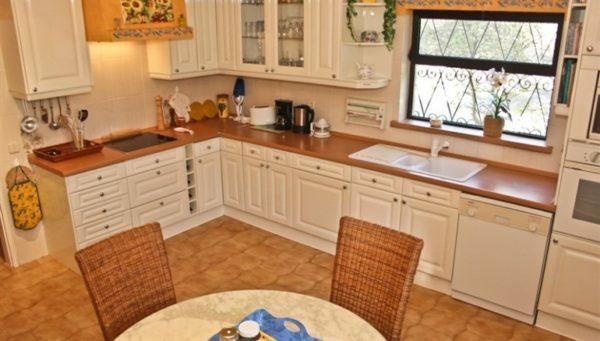 The villa is in the countryside, surrounded by mature trees and green spaces! The ground floor has two bedrooms with double bed, one of them has an en-suite bathroom and access to the pool terrace, a living dining area with a fireplace that provides a cosy atmosphere and a modern and fully equipped kitchen. On the first floor is the third bedroom with a double bed and en-suite bathroom. 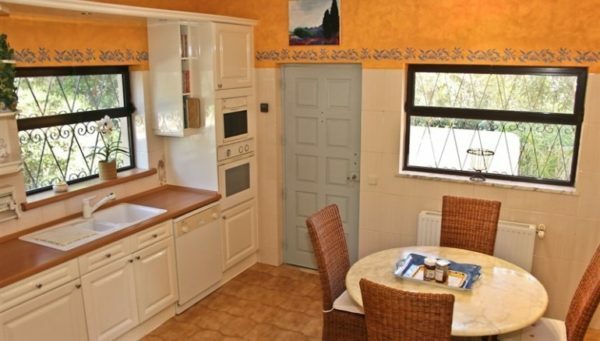 There is a covered terrace with seating and stunning view to the countryside! The pool area with BBQ is surrounded by hedges and walls. The seating area in front of the pool is covered and there are sun loungers around the pool. The romantic garden with sculptures and seating areas invites to relax!